The first, most obvious problem is that the sound of the metronome can easily get drowned out by music, especially if you're practicing as a band. There have been some solutions, but none of them are great, like having multiple devices or trying to mic the timer. With Pulse, however, loud music isn't a problem. 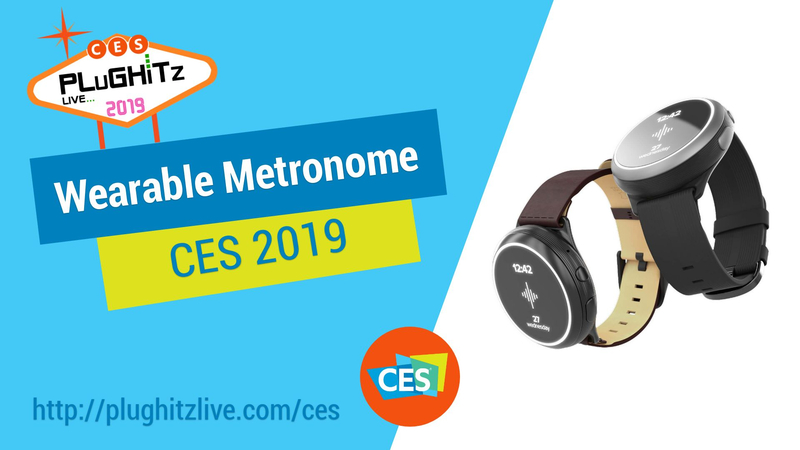 This device is worn on your wrist like a watch, or can be attached to a guitar strap, or however you feel comfortable, and uses light and vibration to overcome the limitations of audible timing. All you have to do is tap the face of the Pulse to the rhythm you want to set, and the Pulse will keep the rhythm until you tell it to stop. Another problem with band practice is keeping the whole band in sync. The Pulse allows you to sync up to 5 devices together, so everyone is on the same beat. This is done via Bluetooth, using one device as an active and the rest are set as passive recipients. This gives a band the ability to stay together as they learn a new song, or even during a performance, where acoustics in a venue can throw off the group's rhythm.